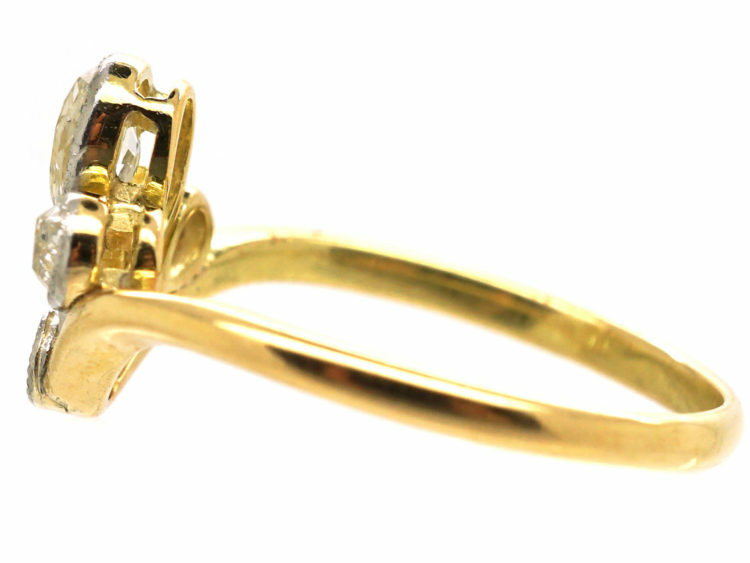 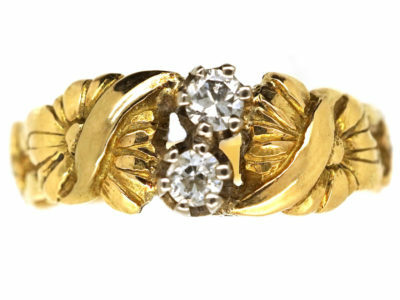 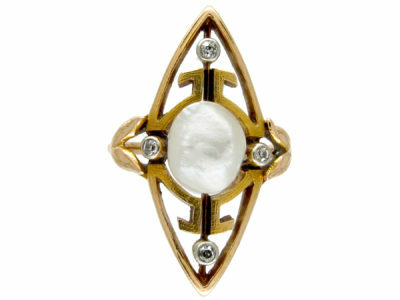 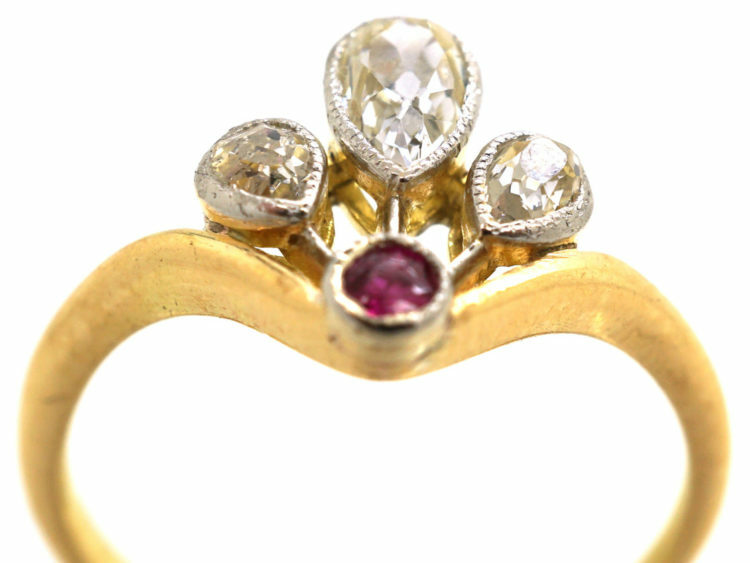 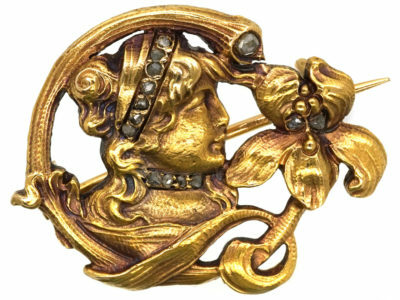 An unusual 18ct gold ring that was made in the Art Nouveau period, circa 1900-1910. 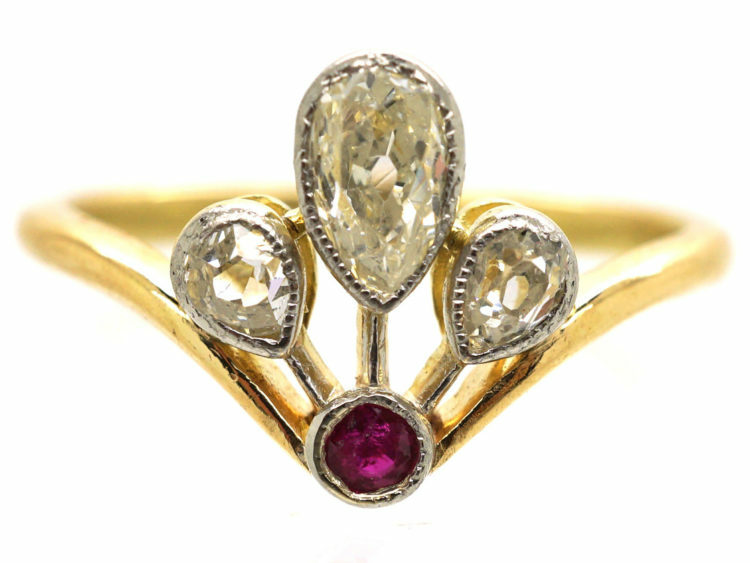 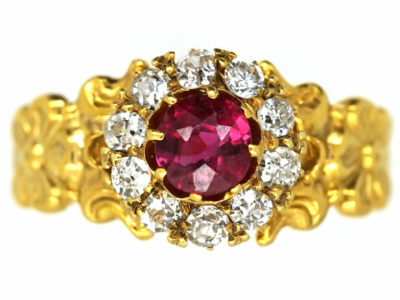 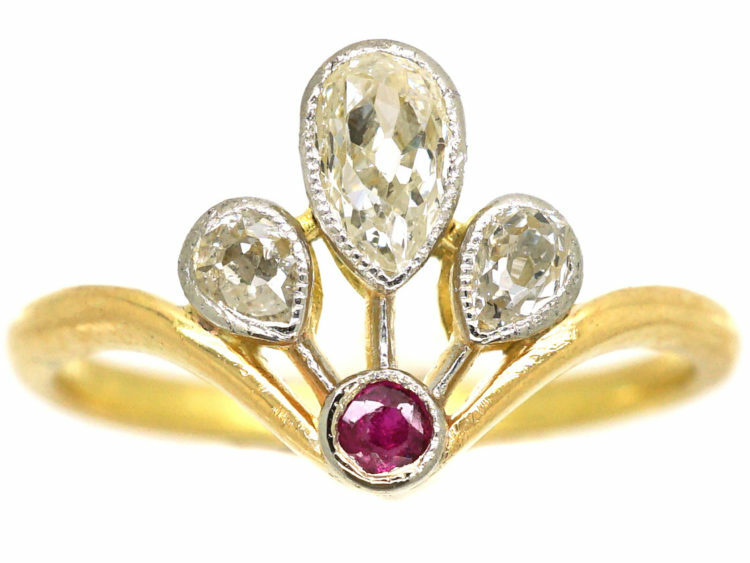 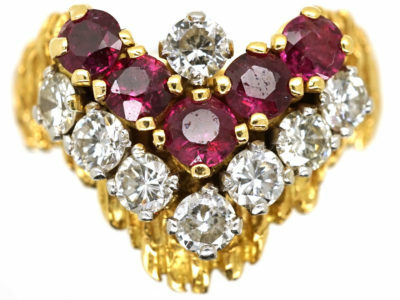 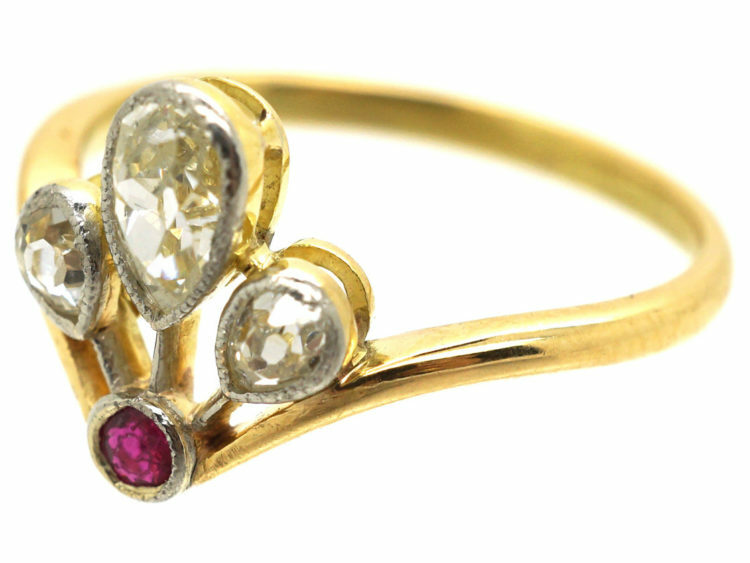 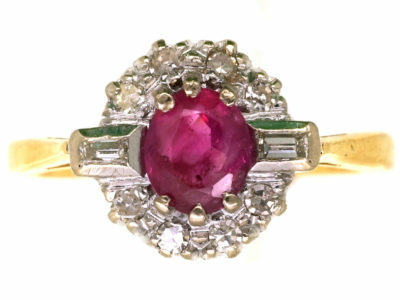 It has been set with three pear shaped diamonds and one ruby in a platinum setting in a plant form design. 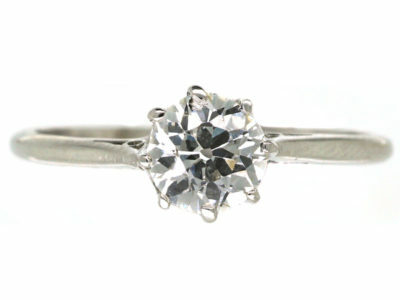 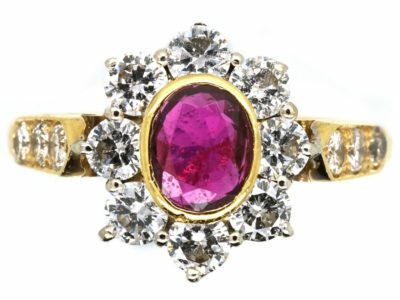 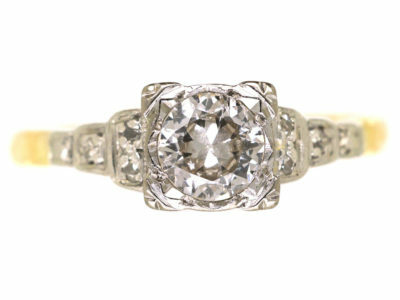 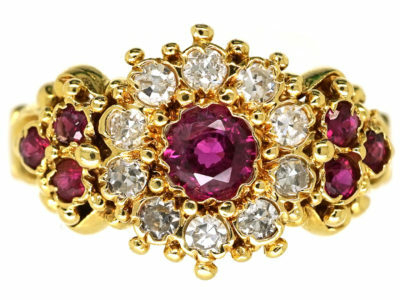 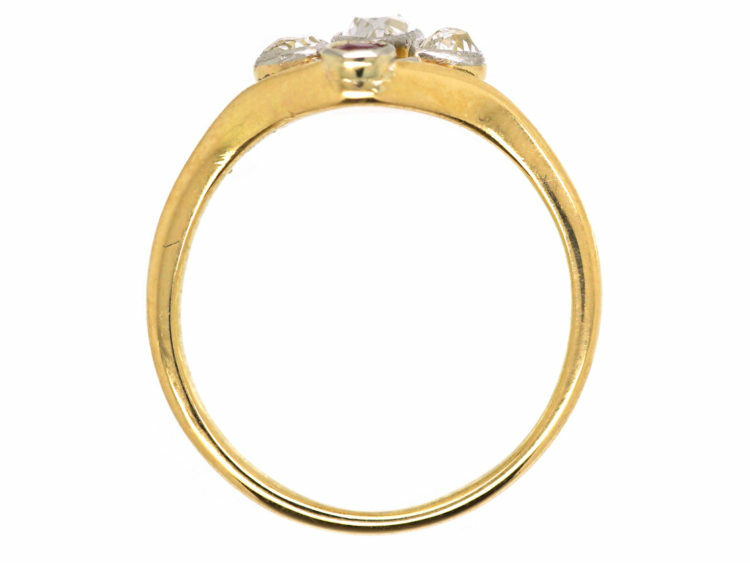 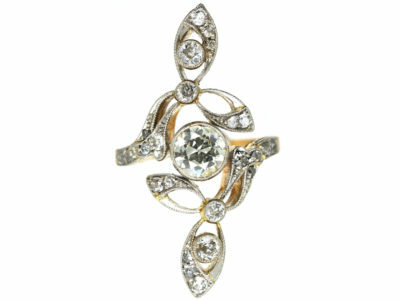 It is so pretty and would make an amazing engagement ring.